Recently I got the messagebox below with “Error code: 2147500037” when I used Windows 7 to print some settings (in this case the homegroup password, so I could store it in a safe place). 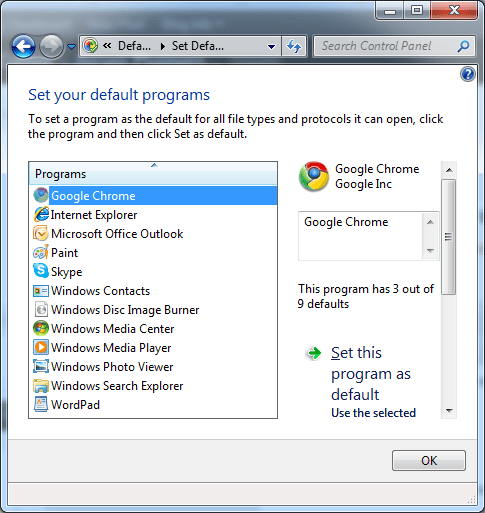 Windows 7 cannot print certain things when Internet Explorer is not the default browser. Or in other words: this error message means: “Windows 7 cannot print this for you because it needs the default browser to be Internet Explorer“. Was it that hard for Microsoft phrasing the message in such a way? This entry was posted on 2010/05/20 at 06:00	and is filed under Power User. You can follow any responses to this entry through the RSS 2.0 feed. You can leave a response, or trackback from your own site. Content is king, and real content like this hard to find now days. I have Windows 10 Home, N5010, version 1607. I got this error code from same attempt as others did — trying to print Homegroup info. My default browser was set to Edge, I changed it to IE, but I still got the error message and still can’t print. The only time I’ve gotten this error message is when trying to print Homegroup info. I’ve no idea: I’m not using Windows 10 yet, and certainly won’t use the “Home” edition of Windows. Windows engineers are toads. They only survive because there is no warranty on software. We don’t buy the software, we buy just a license to use it. Amazon uses the same scam for Kindle books. But Microsoft has gone over the top with selling crap. I also blame the computer press. They should be screaming and cursing about how low Microsoft has sunk. Instead, they rehash Microsoft’s marketing blurbs. Doesn’t work my friend and it’s silly to have to do that. Sorry for that. Please let me know if you resolve this in another way. The issue is simply ridiculous and should have been fixed long ago. This solution doesn’t, ridiculous and unacceptable from MS as it is, doesn’t even work anymore, because Win 10 won’t accept IE as you standard browser. If select it, Win automatically changes it to Edge and Edge cannot cope with the print job. The easisest solution is to do a ‘Print Screen’ and print that. Wow. I’m not running Windows 10 yet, but this is indeed ridiculous. Thank you. This error also occurs in Windows 10. Bizarrely IE is still needed as the default browser – using Edge as the default browser does not work. I have the new Windows 10 and I was getting this message because Edge was my default browser. Now that I changed it to Explorer I was able to print my HomeGroup Password. Thank you for the tip. I can’t print pass code but was able to get it accepted by my other machine by changing the 1 to a lower case L (l). 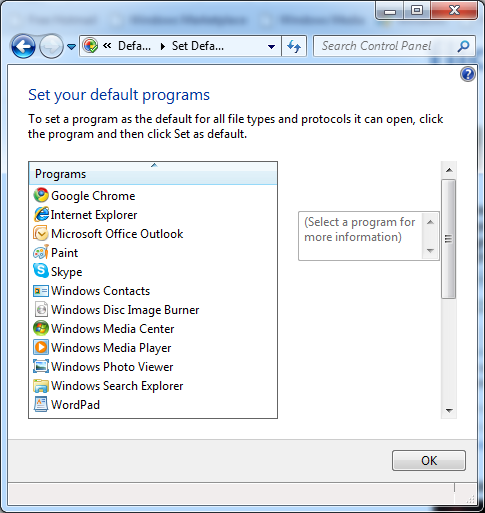 Do you have any idea how this will work in IE 11, as I can not see the print default setting. Your advice from three years ago has helped me today. I love how the internet allows such sharing. Thank you. Thanks for the help. The most annoying thing is micro$oft know about this problem but do nothing about it. 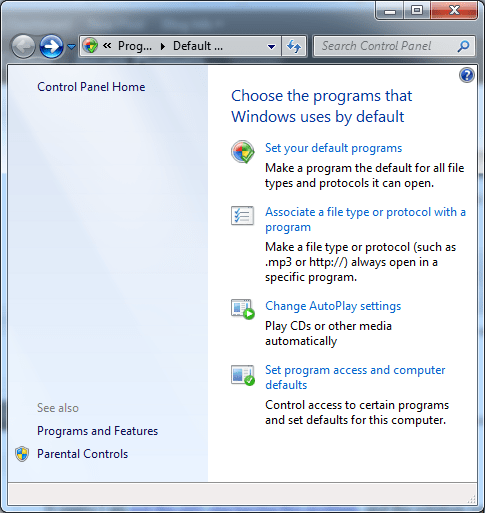 It’s been around since win7 and is still occurring in win8. another workaround…when the error window appears, press Ctrl+print screen. You’ve save (to your clipboard) an image of the desktop. Now open your image processor (e.g., Photoshop), open new file, paste (desktop image) from the clipboard, crop the portion you find useful, save image and then print it (and/or save it for reference). I usually print to PDF so I have an electronic copy from which I can copy/paste text. Excellent! Thank you very much for my haceadache disappeared…. THANK YOU, THANK YOU, THANK YOU. Afetr installing a new modem it screwed up many of my programs due to a bad installation disc. This fix was a definate BIG help and now I can move on to the other problems created, my e-mail. Again, thank you for making this soooo simple. The next beer or two is on me. It looks like it cant just directly print the page from IE. it needs to be default first. I thought that type of bundling was illegal in the EU. I’m not sure if there is a provision for particular things not working with one kind of browser (or even browser version, I didn’t do any further checking), but working with the stock browser. Thank you. Thank you. Thank you. And thank you again. Wish this had helped me. 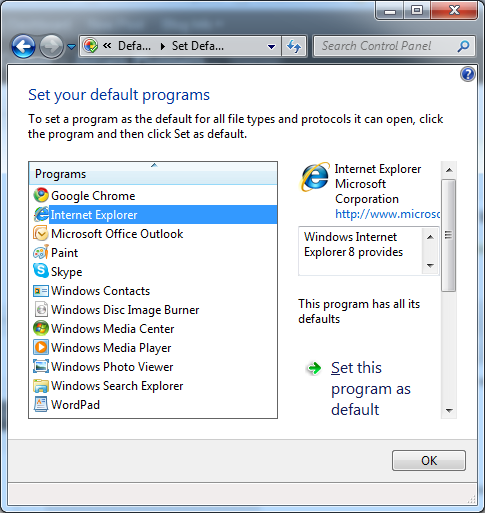 IE8 is my default browser (not by choice, beleive me – I work for a company that has webapps which depend on MicroDung). I still get the error, sadly. Sorry this was not of help. Please let me know if you find a solution that works with IE8. Thank you for solving an annoying problem. Long live Chrome! your advice was VERY helpful. thanks for being there. Well, they *said* IE was an integral part of the operating system . . . It is; but it isn’t always the default browser. It seems they did not test everything when IE was not the default browser.